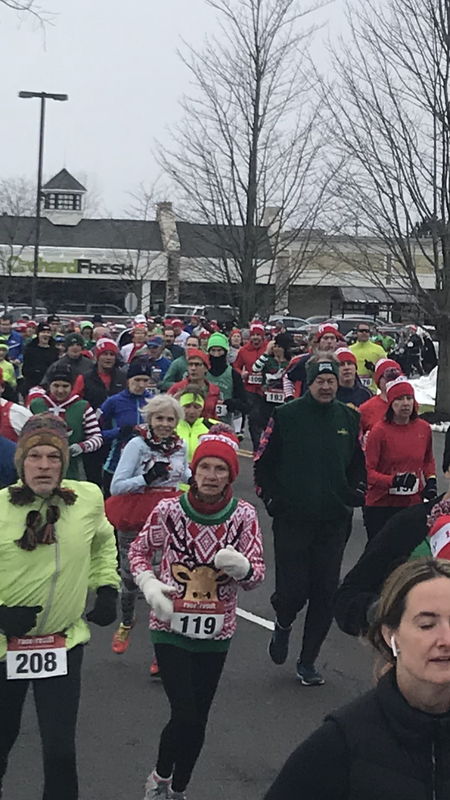 Welcome, all festive, runners, joggers and walkers who will make The Holly Jolly 5K a successful one! Couples, families, & individuals take the day to compete & enjoy Christmas time in Orchard Park. All the runners in the category that gets the most registered will receive an additional beverage on us! 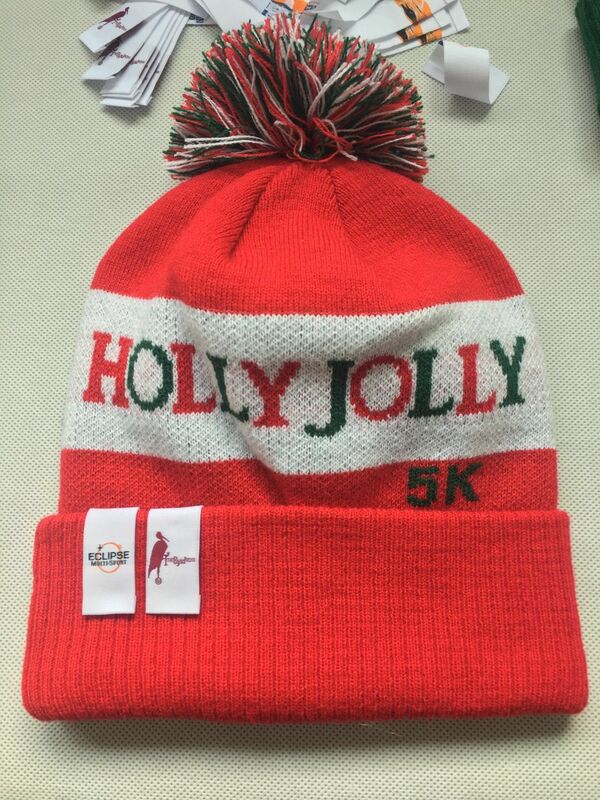 The first 400 to register are guarantee this custom knit hat, so register now! So join us for the most wonderful time of the year, and run up and down Old Taylor Road, and through the surrounding neighborhood. Race starts at the Orchard Fresh Plaza parking lot on N. Buffalo Road. Finish at Runner's Roost on North Buffalo Road. Your run course will be 75% closed to vehicular traffic. Online registration closes Friday at 12 PM. Registration will close at 9:45 am in order for race to start on time at 10 AM. The after party and Awards will be hosted inside The Byrd House - 4190 North Buffalo St, where you BUY ONE drink and get one free. Pizza will also be part of the race registration for participants. Lunches will be available off the full menu. The Orchard Park restaurants will host runners all day. Bring a change of clothes and experience beautiful Orchard Park and all it's shops during the holiday season. A special appreciation will go out to the volunteers and generous sponsors! Without them, this jolly race could not be possible. For legal, logistical and insurance reasons all registrations are nontransferable and non-refundable as stated in the waiver you signed when you first registered. Please note that according to USAT and USATF rules transferring or selling registrations or bibs is not allowed and both runners will be disqualified and banned from future events.